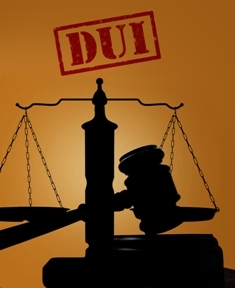 How will the at-fault driver’s DUI conviction affect my personal injury claim? Accidents caused by drunk drivers often result in serious injuries for passengers, other motorists, and nearby pedestrians. A personal injury claim resulting from a drunk driving accident is processed separately from the criminal charges an intoxicated driver faces. However, the driving under the influence (DUI) charge can affect your case in several different ways. Establishing fault for the accident is the first step in establishing financial liability for your injuries. If the driver was arrested and convicted of driving while under the influence, you have a higher probability of establishing fault for the collision, so long as the drunk driver was the one who caused the collision. This puts you in a strong negotiating position. Auto insurance companies are often willing to take their chances with a trial, but they are well aware that a convicted drunk driver will garner little sympathy in court and that it can turn ugly. This means in most instances the insurance company will be more likely work with your attorney to come to a settlement agreement and avoid putting on trial an unsympathetic defendant. A quick settlement offer may seem like a blessing, but you should keep in mind that accepting a settlement will prevent you from seeking further compensation down the road. You shouldn't settle your case until you're confident you know the nature and extent of your injuries and the offer represents fair reimbursement for your expenses and losses and a proper acknowledgment of your pain and suffering from your injuries. Accident-related medical expenses, including emergency room care, follow-up appointments, physical therapy or other rehabilitative services, prescription medication, and any anticipated future medical expenses related to the incident. Lost wages during your recovery period, as well as any applicable reduction in your future earning capacity due to your injuries. Pain and suffering, including both physical pain and emotional trauma related to the accident. Punitive Damages, are also potentially available in egregious cases. Accidents involving multiple vehicles. If you were injured in a multi-vehicle accident caused by a drunk driver, you may run into problems if several people sustained severe injuries. Every auto insurance policy has specific limits as to how much it is obligated to pay per person or per accident. If the claims exceed the policy limits, you'll need find out if there are other available sources of recovery, such as other insurance, other responsible parties or personal assets. If none of these are available, then the available policy may need to be appropriately allocated based upon the extent of the injuries. Passenger injuries. If you were injured as a passenger in a car being driven by a drunk driver, seeking compensation is possible, but it can be complicated. The insurance company may try to deny coverage based upon your relationship to the driver because you are excluded as a possible insured. The insurance company may also try to argue that you knew or should have known the driver was intoxicated and that it was unsafe to get in the car with the drunk driver. In this line of defense, it will be claimed that you assumed the risk when you voluntarily got into the car with an intoxicated driver and are thus partially responsible for your own injuries. Uninsured and unlicensed drivers. Unfortunately, many people who are convicted of DUI are not first time offenders. Since repeat DUI offenders are subject to lengthy license suspensions and very high insurance rates, the driver responsible for your injuries may not have a valid license or insurance policy. In this case, you'll likely need to make a claim under your own uninsured/underinsured motorist coverage. However, if the driver was using someone else's vehicle, you may be able to seek compensation under the owner's policy, especially if the owner of the car knew the person was drunk when he took the car. Negligent entrustment of a vehicle to an unfit driver makes the owner liable for the resulting damages. One last note, if you were uninsured at the time of your accident you usually cannot recover pain and suffering damages. However, one exception from that rule is when a drunk driver is criminally convicted of DUI, then an uninsured motorist may recover pain and suffering damages from the collision and from the drunk driver’s insurance company or defendant him or herself. Drunk drivers can present some unique challenges in proof and in evidence preservation. It's vital that you seek representation from an experienced personal injury attorney. Inland Empire Law Group's dedicated legal team advocates for the needs of California residents who've been injured due to the negligence of others. Please call today to schedule a free, no-obligation case review at our Victorville or Rancho Cucamonga office locations. DON’T BE VICTIMIZED TWICE BY THE DRUNK DRIVER AND AN INSURANCE COMPANY!